Dr. Richardson is a board-certified physician who specializes in laparoscopic and robotic gastric bypass, sleeve gastrectomy and adjustable gastric banding, as well as other minimally invasive surgery procedures, such as ORBERA. She joined the LifeBridge Health Bariatric and Minimally Invasive Surgery Center in 2015 and is currently seeing patients at multiple locations. Dr. Richardson received her medical degree from Wake Forest University School of Medicine. 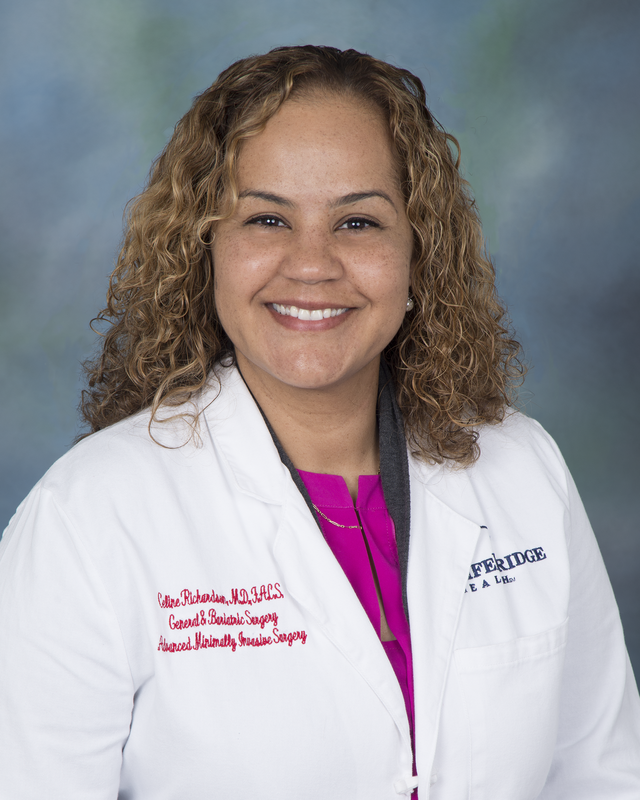 She completed her residency in general surgery at Emory University Hospital System and her fellowship in bariatric and minimally invasive surgery at Northwest and Sinai hospitals of LifeBridge Health. Dr. Richardson is a fellow of the American College of Surgeons and the Society of American Gastrointestinal and Endoscopic Surgeons. She speaks fluent French and has working knowledge of Spanish.